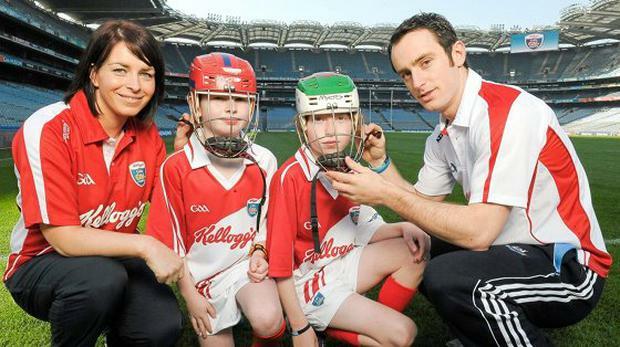 The GAA have announced the extension of the Kelloggs Cúl Camps partnership for a further two years. Last year’s camps were attended by a record 89,022 children between the ages of six and twelve meaning more than a quarter of a million children attended the camps since Kellogg’s sponsorship commenced three years ago. The camps, which take place across all 32 counties and amongst a number of overseas units, provide coaching and games in a secure and enjoyable environment with qualified coaches. A number of top inter-county footballers and hurlers have played an active role in the camps in the past and both the GAA and Kellogg’s are looking forward to another bumper year in 2015. “The numbers speak for themselves and I would like to acknowledge Kellogg’s passion, innovation and investment which has helped to give us a presence in every home in Ireland through this alliance," President Liam O'Neill said today. Both parties also announced the provision of 500 free places for the Schools Completion Programme, which provides projects for children in DEIS areas around the country. This initiative is designed to make a connection between increased literacy levels amongst children who have higher participation levels in sport while underlining the unique community based ethos that accompanies Gaelic games.